How Should We Explain Pain to Patients & Clients? Nearly every clinician interacts with patients or clients who are in pain. Whether you work in an inpatient or acute care setting or an outpatient specialty clinic, odds are that a large number of the people you treat are experiencing some type of physical pain. Sometimes these patients or clients have seen multiple clinicians or disciplines, sought varying treatments, seen multiple doctors, and continue to experience pain. It limits their ability to do the things they really need or want to do. Hobbies and activities fall to the wayside as they continue to be limited by their pain. Often, they do not really understand why they are in pain or where their pain is coming from. They just know that it hurts when they try to do XYZ. In fact, the question of why they are in pain is one of the most important questions patients and clients have when they walk into our clinics. The question is: how do we explain to these patients or clients the underlying causes of the pain they are experiencing in a way that empowers them to overcome it rather than cripples them by fear or anxiety about it? How many times have you sat a patient or client down and explained to them what was “going on” in their particular situation or diagnosis? Maybe you have nice anatomy charts out to point to, or even a 3D model you can show your patient or client. You explain to them about tissue injuries, recovery times, and the healing process. You approach this mini education session from a biomechanical frame of reference. You talk about the tissues, bones, and joints involved and what is or isn’t working right and what needs to be fixed, adapted, or changed. You walk away from that encounter feeling good about it all. You explained everything well. You provided good visuals to your patient or client. You took the time to answer their questions, and you feel that they understand the anatomy and maybe even a little bit of the physiology behind their pain. But does this education you provide actually make a difference in the outcomes or participation of these patients or clients during therapy? At some level, this type of education can be beneficial for patients and clients, especially if they have seen multiple clinicians in the past and still no not have a firm grasp on their diagnosis or dysfunction. However, this method of of education leaves out a big part of what’s going on with a patient in pain. It leaves out the brain, the neuroscience, and the basics about pain itself. Giving a rundown of the tissues and their dysfunction or injuries leaves many patients and clients completely unaware of the hidden forces that are likely involved, especially in chronic pain. It can also lead patients and clients to fall into “catastrophizing” thought patterns. There is mounting evidence to show that approaching patient education from this biomechanical frame of reference can cause patients and clients increased fear, anxiety, and stress. It can also negatively affect clinical outcomes of treatments . How many times have we talked to a patient or client and they say something along the lines of, “my ligaments are damaged” or “I have bone on bone in this joint” or even “there’s nothing you can do because XYZ got torn”? Patients or clients that respond this way may have a good understanding of the physical and biomechanical issues at play, but they still have anxiety or fears about participating in therapeutic exercises or activities. In recent years, research findings indicate that there is a more effective strategy to explain pain to patients and clients     . 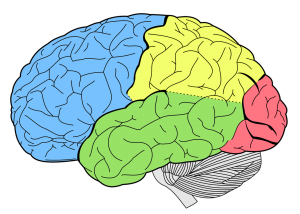 It is being referred to as Neuroscience Education (NE). The goal of NE is to reframe the patient or client’s way of thinking about pain. Taking the idea that pain is an accurate reflection of the actual injury to their tissues and redefining it as simply the brain’s interpretation of the threat of their injury can cause a patient or client to be more willing to move, exercise, and push themselves during treatment . If you think that you as a clinician can’t change the way your patients or clients feel about their pain, consider this: studies have shown that healthcare professionals often have the strongest influence on a patient’s attitudes and beliefs . As clinicians, we can alter our patients’ understanding of their symptoms, their sources, and their meanings. We can also impact the way our patients feel about their prognosis and potential outcomes . Whether you’d like to admit it or not, what you say to patients —and how you say it— can have a long lasting impact on them. It’s a big responsibility. Your words can either empower someone to overcome some dysfunction or chronic pain, or it can cripple them into a negative though pattern that can negatively affect their prognosis or outcomes. It is something that every clinician should be aware of try to change the way we communicate with clients and patients. I know there have been times when I have said to a patient something like, “well you’ve got bad arthritis in your shoulder, so that’s why it always hurts.” Looking back, I can see how those words affected that patient and the way they began to view their shoulder pain and their ability to do certain things. Many patients and clients that come into our clinics have likely heard things like, “slipped disc”, “damaged tissue”, “rest until it gets better”, or even “you’re not going to get better”. 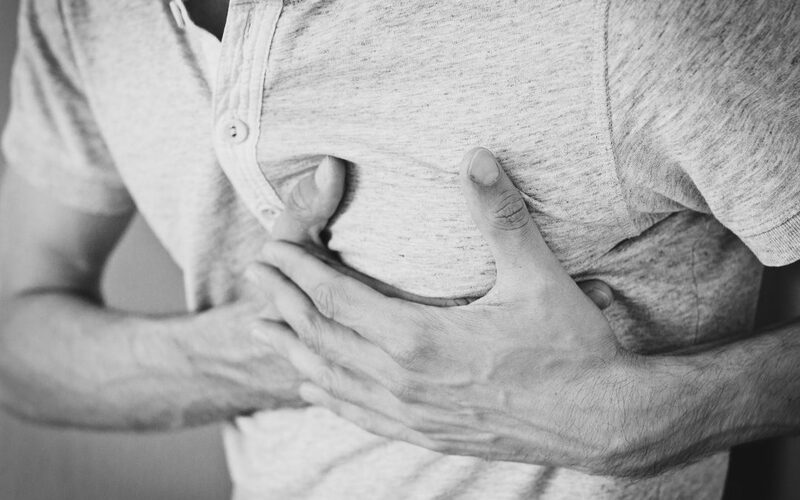 Whether right or wrong, the clinicians that said those things to them have created a lasting impression that can still be affecting that person when they walk into our clinics for the first time. The first thing we should do with these patients is take the time to explain to them the neuroscience behind their pain to hopefully improve their outlook on their diagnosis and prognosis going forward. The goal should be to empower these people to overcome their pain and dysfunction. The books starts off by explaining basic neuroanatomy and the nervous system. It explains that your nerves connect everything in your body. They monitor your body and inform you of what’s going on in your body and environment. Some of these nerves act as alarm signals for the body and brain. The example of stepping on a nail is used to show how some stimulants cause these nerves to “wake up” and how this pain perception is a necessary part of survival. After some injuries, some of these nerves “wake up” and then take a longer time to calm back down and can even become extra sensitive. There is a great illustration in this first part, pictured to the left, that shows the difference between a normally functioning nerve and a nerve that is “awake” or sensitive. It’s a good example of how a persistent alarm or sensitive nerve can affect a patient’s function. These alarms can persist for a variety of reasons like the actual pain, tissue injury, or other biopsychosocial issues like family life or stress . The book goes on to explain that once this alarm sounds, it can wake up neighbors from down the street, much like a house alarm. This means that nerves next to the alarming ones can wake up, the police (immune cells) are called, and all the other neighbors are checked in on. This means that some older pains or aches can return, but this isn’t because there was a new injury, but because the nerves are now sensitive. Adriaan goes on to explain about the brain and how it interprets these pain signals. For example, persistent pain can often be analyzed by the brain very closely. This is similar to the “z” on your keyboard and for or five “z’s” showing up instead. He explains that your brain is your body’s CEO and once an alarm gets placed on the CEO’s desk say from the lower back, the CEO begins to snoop around other areas, the legs, middle back etc. This can be why some of the “noisy neighbors” wake up shortly after an injury or painful experience . Each of these areas can be involved in every pain experience. They communicate with each other to “discuss” what the appropriate action or response should be. Each of these responses and areas can be affected differently in each person. How you experience pain from an ankle sprain may be entirely different than I would. Pain is an individualized experience, which can make it difficult to treat . The final section of the book lays out some tips and strategies for patients to “get their life back”. It covers various topics from knowledge, aerobic exercise, medicine, foods, sleep, and even goals and pacing. This approach to educating patients and clients on some practical steps to help move the needle towards recovery has been shown to decrease hospital stays, improve functional outcomes, and even decrease health care costs for those patients  . Clinicians should make efforts to learn this information and then develop ways to share it with clients and patients to help them on their road to recovery. In the end, we as clinicians should understand that our words have a lasting impact on our patients and clients that can dramatically affect clinical outcomes. Because of our education, training, and role in the healing process, patients look to us for answers. They believe what we have to say. This is a responsibility that we as clinicians should not take lightly. We should make every effort to communicate to patients in a way that not only educates about the anatomy and physiology behind their pain, but also reframe their pain in a way that empowers them to take the steps necessary to overcome it. The framework that Adriaan uses in “Why Do I Hurt?” of explaining the what and how followed by practical and concrete strategies for implementing a treatment program can be a good foundation for clinicians to begin to implement in their daily practice. 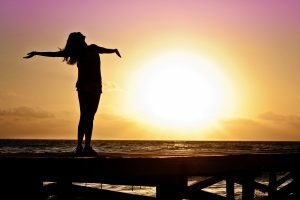 Whether you are treating patients with acute injuries, post-surgical recoveries, or chronic pain, educating and empowering patients and clients to overcome their pain will yield greater results in the long run. 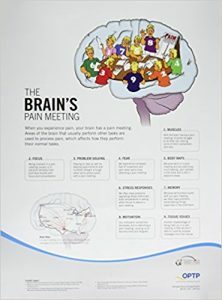 For further reading on the topic of pain science and neuroscience education for patients and clients, check out the references and resources below. There have been books written about the subject and there is always something else to learn. Do you use Neuroscience Education in your daily practice? What’s been your experience with its effectiveness? Tell us is the comments below! Louw, A. (2013). Why do I hurt? 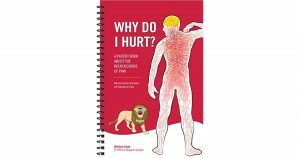 : A patient book about the neuroscience of pain. Minneapolis, MN: Orthopedic Physical Therapy Products. Skatteboe S, Røe C, Fagerland MW, Granan L-P. Expectations of pain and functioning in patients with musculoskeletal disorders: a cross-sectional study. BMC Musculoskeletal Disorders. 2017;18:48. doi:10.1186/s12891-016-1386-z.